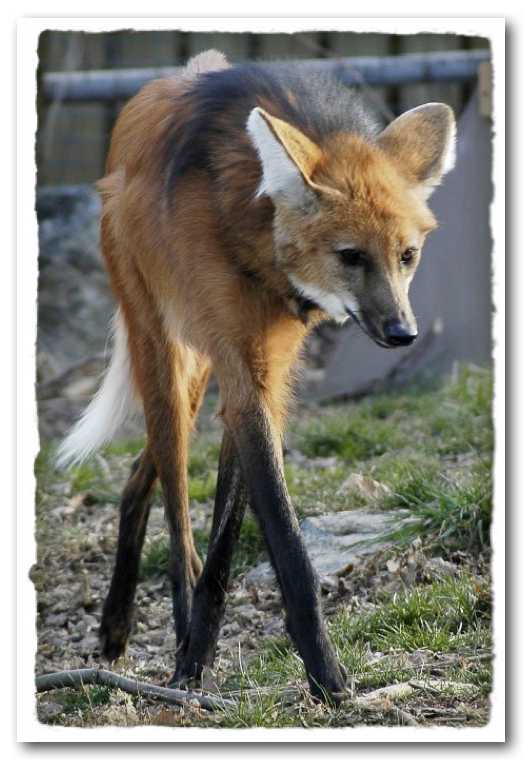 He's called a Maned wolf ~ a type of wild dog ~ but there's nothing else like him! He's the tallest of all wild dogs, reaching 42 inches high. He does look like he's on stilts! 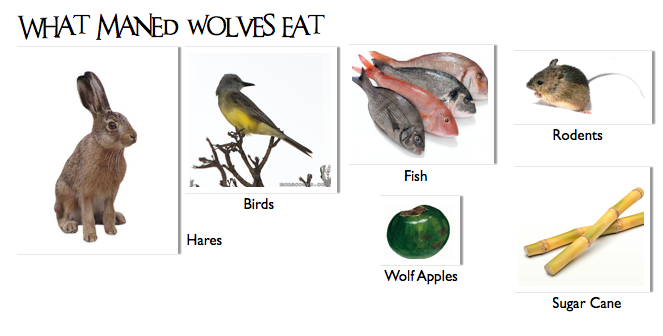 Because Maned wolves live in South America, they eat some pretty strange stuff...even sugar cane! In fact, half their diet is fruit and vegetables. 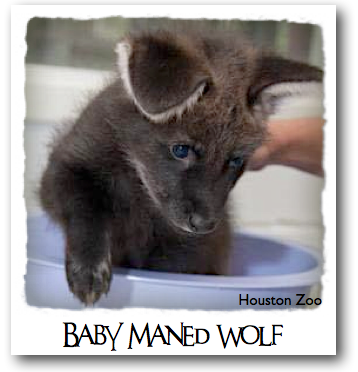 And you have to see the Maned wolf pup. He's born completely black, with big floppy ears! 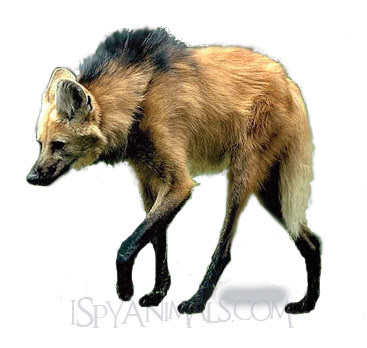 Maned wolves are one of my favorite animals...what about you? I love the colouring too. Agree! They are a unique and beautiful animal.